Police say they are concerned for the welfare of a teenage boy from Denmark who went missing on a school trip to Manchester. 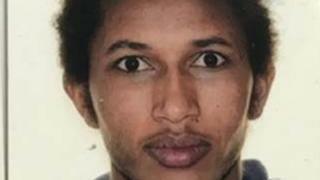 Yafiet Tesfalem, 17, was last seen at the YHA hostel on Potato Wharf in the city centre at 07:40 GMT on 21 March, a Greater Manchester Police spokesman said. The force has issued a picture of the teenager and appealed for information. Yafiet is described as 5ft 6in (1.68m) tall and has short black afro hair.